Exciting news! Our new Dance documentary featuring Ann Reinking, Melissa Thodos and the company of Thodos Dance Chicago premieres Thursday, February 23, 10:30pm on WTTW11! As you may know, in early 2011, Emmy Award®-winning Chicago filmmaker Christopher Kai Olsen created nearly 50 minutes of original film projections for Thodos Dance Chicago’s multimedia story ballet The White City: The Columbian Exposition of 1893. The ambitious original work – set against the backdrop of the famed Chicago World’s Fair – was co-conceived and choreographed by Melissa Thodos and Tony Award® winner Ann Reinking, and was recently named “Best Dance of 2011” by the Chicago Sun Times. As part of the story ballet creative team from its inception, Olsen was afforded unprecedented access to the visionary endeavour, and in addition to his own artistic process, began documenting the making of the ballet, from concept, through rehearsals to its March 2011 premiere at the Harris Theater in Millennium Park. The result is the visually arresting half-hour dance odyssey Beneath the White City Lights: The Making of an American Story Ballet, premiering Thursday, February 23rd at 10:30 PM on Chicago’s WTTW11. Beneath the White City Lights is an artistic insider’s view of the creative process, combining breathtaking performance video, intimate rehearsal footage and revealing interviews with co-creators Ann Reinking and Melissa Thodos, and many of the talented dancers who helped bring this story to life. 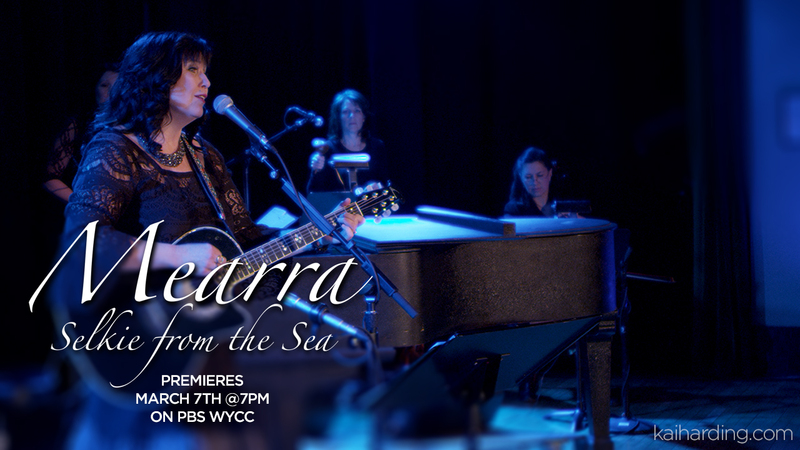 Beneath The White City Lights airs Thursday, February 23, 10:30pm on Chicago’s WTTW11.